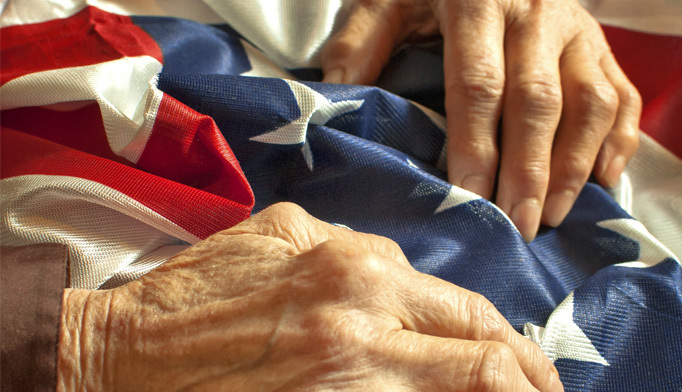 I had the privilege of caring for an elderly patient, who was a World War II combat veteran and Marine at the hospice unit of a Veteran Affairs hospital in upstate New York. Jack was very open about his illness and as we got to know him and his family, we learned that his son, also a Marine and a combat veteran, but of the Vietnam War, had died a few years earlier at a different VA. For some reason or another, Jack did not receive his son’s American flag (all veterans’ families are presented with a flag at time of death). As it so happened, an elite Marine Corps unit was visiting our VA around Veteran’s Day. Our hospice social worker and I were able to work it out so that the Marine Corps unit would present Jack with a flag in honor of his son at the end of the program. We involved his family, who were all very excited to help us. It was decided that the presentation would be a surprise for the patient. As fate would have it, Jack’s condition started to quickly decline. We wondered if he would still be with us by the time of the event, let alone be able to participate in it. On the day of the program, Jack was too weak to attend to ceremony in our auditorium. With some quick thinking and fast feet, I explained the situation to the captain of the visiting unit. Without hesitation, he agreed to have his unit present the flag to the patient on the hospice unit. With his family present at his side, six Marines in full dress blues, and an entire corps of retired Marines marched to Jack’s room, and in proper Marine decorum, presented the patient with an American flag in his son’s honor. There was not a dry eye in the house. Although Jack left us a few days later, his family was grateful for what we had done for their father. That was my proudest moment as an NP.